Telkom overpowered Ghana Police 3-2 on Sunday in post-match penalties to retain the trophy having played to one all draw in regulation time. Team head coach Jos Openda acknowledged that the competition has grown in leaps and bounds and was quick to single out teams from Ghana as the opponents to look out for in future events. “They (Ghana) teams have improved tremendously and it will be interesting to see how they perform in the coming events. But again for us is to ensure we continue with our objective which is to win the title three times in arrow and have it for keeps just like the previous events,” said the tactician. 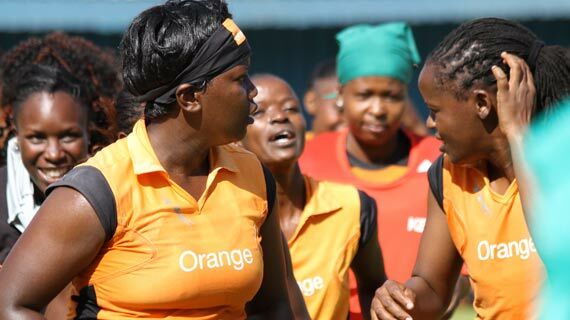 Telkom Orange are at the summit of the KHU national league table standing with 33 point from 11 matches, ahead of fast improving Sliders with 25 points having played the same matches as Orange while last season’s runners up Strathmore University are placed third on 22 points with a match at hand.